This is a new model from Vizio’s D-series for this year. 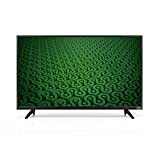 This 32 – inch Full-Array LED television features a modern, new design, as well as great picture quality, so all those looking for an extremely affordable TV that will bring them HD entertainment should take the VIZIO D32H-C1 into consideration. This model includes some of the latest upgraded technologies that make for brilliant picture quality. Full-Array LED backlighting is one of these technologies, and it distributes LEDs behind the whole screen delivering incredible light uniformity as well as picture performance. This TV can be an ideal upgrade to any room in your home in case you are in the market for a great but affordable TV to replace your conventional television. The D32H-C1 comes with amazing picture quality, along with a new and modern design, and it is capable of delivering high-definition entertainment at an amazing value. Overall, if you need to equip your kitchen or bedroom or some other room in your home with a small TV, but do not want to spend a lot of money, you should probably give this TV a try. At a more than reasonable price, you can expect amazing picture quality that comes in 720p resolution. This model from Vizio costs around $200 making it one of the best-valued, affordable TVs on the market. 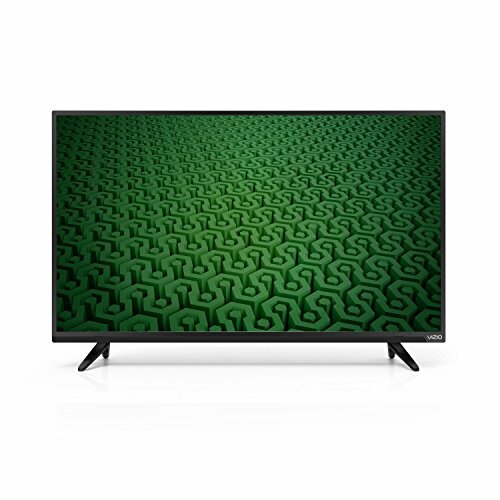 You cannot expect all the fancy features that those high-end televisions offer, but at this price point, the VIZIO D32H-C1 is a great TV that will provide all those looking for a basic TV with more than a pleasant and enjoyable viewing experience. Since this TV weights 11 lbs, it is slightly heavier than majority of High-Definition TVs. Its dimensions are: 17.1 inches height, 28.8 inches width, and 2.6 inches depth. It comes with a removable stand, and you can also wall mount it very easily. This model is extremely easy to set up as well as to use, since it doesn’t include many fancy, complicated features, but boasts amazing picture quality instead. The 32 – inch screen on the VIZIO D32H-C1 has a horizontal resolution of 1366 pixels, and a vertical resolution of 768 pixels with a refresh rate (native) of 60Hz. For its extremely affordable price, this TV is a really great buy since it has amazing picture clarity and quality. With this 32 – inch LED TV from Vizio, you are able to watch your favorite movies and TV shows in a clear and crisp 720p HD resolution. As we already mentioned, Vizio has made an upgrade on this new 2017 D-series with some of the latest advanced technologies such as the Full-Array LED backlight technology. This means you can expect this TV to deliver superior picture performance and light uniformity, since the Full-Array backlight distributes LEDs behind the whole TV screen. The D32H-C1 from Vizio is also equipped with intelligent backlight sensors (Ambient Light Sensor feature) which enable this TV to automatically adapt to the surrounding brightness, so you are able to enjoy and view great pictures no matter where you place the TV in your home. This basic TV comes with 2 HDMI and a component video port for connecting your high-definition video sources to it, as well as one USB port for connecting some additional photo sources. In order to produce stereo sound, this model is equipped with two 10W speakers (20W in total). Considering its price, it probably wouldn’t be fair to say that the lack of some fancy features is the VIZIO D32H-C1’s downside. However, we must mention that the TV doesn’t include Smart features, so if you are looking for a Smart TV, then this one may not be for you. Also, it doesn’t come as a surprise that this TV isn’t a 1080p, but taking its size into consideration, most users could not be able to see the difference between the 720p and 1080p.